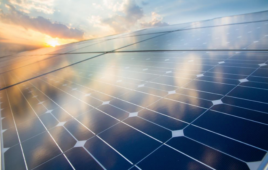 Although O&M has finally become something solar asset owners consider up-front rather than as an annoying afterthought, the market is still in disarray, said Amanda Bybee, CEO of the Amicus O&M Cooperative. A lack of consistent standards related to operations and maintenance was one of the reasons the Amicus O&M Cooperative came to be. The debate currently within O&M is whether asset owners with large portfolios should perform O&M in-house or outsource it. At the C&I level, it seems more are outsourcing O&M. But even when companies choose to bring O&M within the company’s services, it’s not always truly in-house or done at the same consistent, high standard. The Amicus O&M Cooperative received a DOE SunShot grant for its efforts at streamlining O&M requirements and is just beginning to get on its feet. The North American Board of Certified Energy Practitioners (NABCEP) also received a SunShot grant last year to develop new certifications for individuals who specialize in PV system design, installation or maintenance. NABCEP hopes to help define personnel obligations and fill a gap in solar workforce standards, especially within O&M. These new NABCEP certifications are expected to launch this year.